Etobicoke Car Detailing- Wash Me Now. Even at a glance, Etobicoke’s skyline is clearly indicative of prosperity. A significant portion of the land in this area is dedicated to industrial and commercial use. Residential properties are mostly single-family homes which means that the local population density is not as great as cities like Toronto. Of course, residents of Etobicoke are frequent drivers and having a car is essential for getting to and from work, school, the store, and more. With over 300,000 residents, vehicle owners in Etobicoke enjoy less congested traffic conditions than many other cities, towns, and suburban areas. Despite this, even a parked car needs to be detailed in order to keep it in great shape. 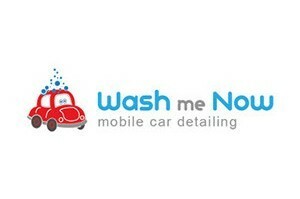 Wash Me Now provides professional Etobicoke car detailing and, best of all, we are fully mobile! When you book your appointment with our team, simply provide us with your address anywhere in Etobicoke and we’ll be there! Our team at Wash Me Now are true experts when it comes to auto detailing. Whether you drive a compact sedan, an SUV, or even a luxury car, we know just how to get your vehicle looking its best! Not only are we fully mobile, but we also pay extremely close attention to even the finest of details. For us, car detailing is so much more than just a good car wash. It’s about successfully ridding your vehicle of dirt and grime in the gentlest of ways and in minimal time. Thanks to our extensive experience, we have perfected our detailing process which makes us even more effective and efficient! For professional Etobicoke auto detailing by a team you can trust, call Wash Me Now on (647) 607-5199 today! When you drive around Etobicoke, you wouldn’t want anyone to feel tempted to write “Wash Me” or some similar remark in the dirt on your car. Not only is this embarrassing, but it also results in light scratches. Instead of driving a dirty car or sacrificing your own precious time, call Wash Me Now for top quality mobile car detailing anywhere in Etobicoke! 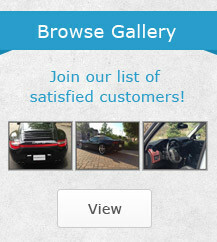 Our team is truly passionate about cars, and we treat each vehicle with the utmost care and respect. We have over 100 great 5-star reviews from satisfied customers, and we are so confident that you will love our services that we offer a 100% satisfaction guarantee! We also encourage you to take a look through our reviews to find out just what sets us apart from the rest. Unlike many other conventional car wash services, Wash Me Now is fully mobile! When our team arrives, you will notice that we come prepared for anything! Apart from cleaning materials and other supplies, we even bring our own water! This means that you really can have your vehicle detailed anywhere in Etobicoke! When many people think about car detailing, they generally start by asking how much it’s going to set them back. The first thing to understand is that quality detailing helps maintain the value of your vehicle which means that detailing is an investment. Secondly, at Wash Me Now, we offer a variety of packages at low prices to make professional detailing affordable for all. Apart from our basic and comprehensive detailing packages, we also offer various optional extra treatments. This allows vehicle owners to choose treatments they can afford. Nothing cleans better than steam! Steam kills germs and cleans with minimal water. It’s also highly effective when it comes to removing dirt without using excessive force, scrubbing, or potentially damaging your vehicle. With Wash Me Now, you get the very best steam clean! Flexibility is what we are all about. Not only do we want to ensure that every vehicle owner finds a package that suits their pocket, but also one that takes care of their needs. For example, your car might not need an in-depth clean, but you may need pet hair removed. In this case, you could opt for a basic cleaning package and add pet hair removal to it. Since time is another major concern, Wash Me Now packages all include a duration estimate. The type of package you choose, the size of your vehicle, and any optional extras will determine how much time is required to detail your car. By understanding how long our team will take, you can plan your day! 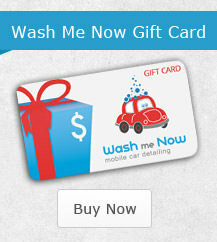 Don’t forget; Wash Me Now provides mobile Etobicoke car detailing which means we come to you! Our team will arrive at the specified address with all the necessary supplies and water to get your car looking its best. 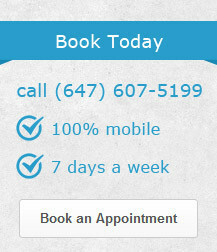 Take a look at our packages here and call our team to make your appointment or for any further assistance! Contact Wash Me Now Today (647) 607-5199 !